Summer is here! 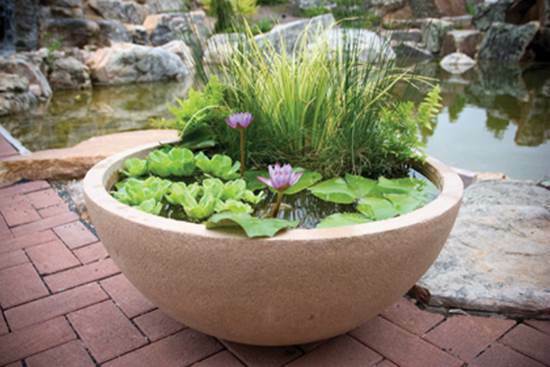 Do you want to add some water features to your garden? 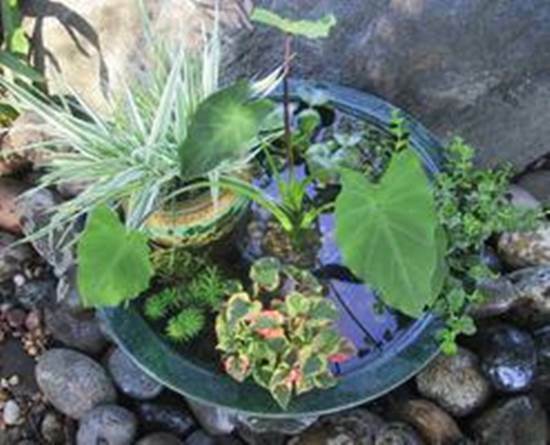 If you love the idea of a water feature in your yard, but are concerned about not having enough space, a water garden in a container might be a good solution for you. 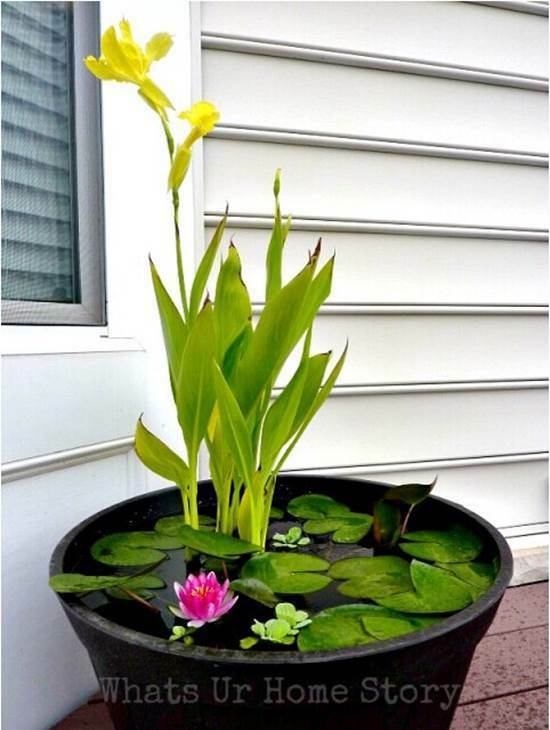 This mini garden pond not only adds beauty and value to your yard, but it is also very easy to set up. Once you have chosen your desired container, use a divider or liner to vary the heights of the soil and thus the plants to create a beautiful landscape. You may use bricks or overturned containers submerged below the surface of the water to create the same effect. 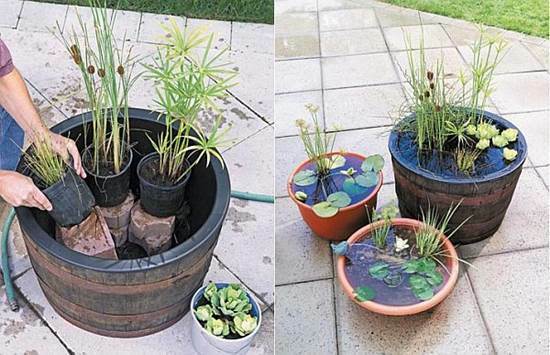 Fill the container with water and wait two days for the chlorine to evaporate. 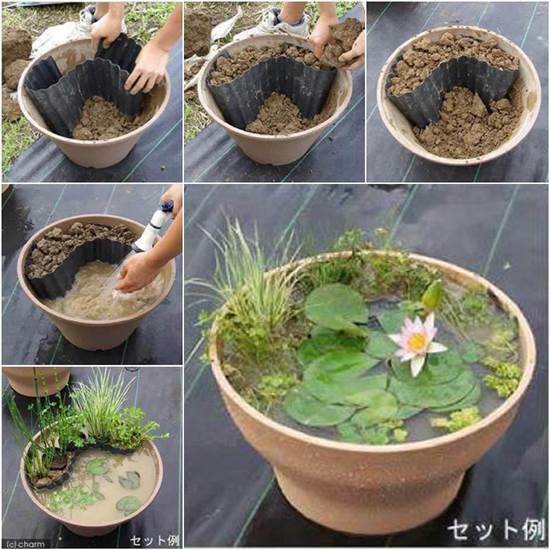 Choose different variety of water plants and water flowers to grow. If you are concerned about mosquitoes, you can install a small water pump to keep the water flowing. 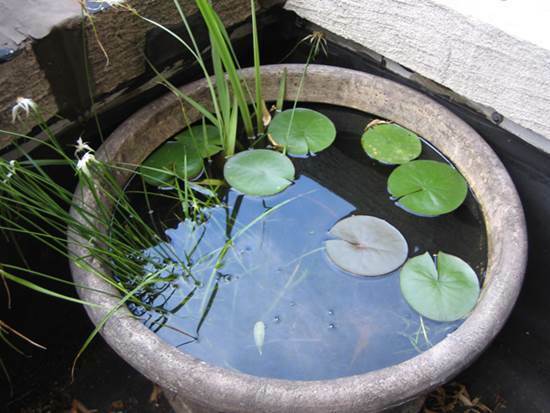 The container garden pond can be placed on your porch, deck or even inside the house. It would make a perfect complement to your space. 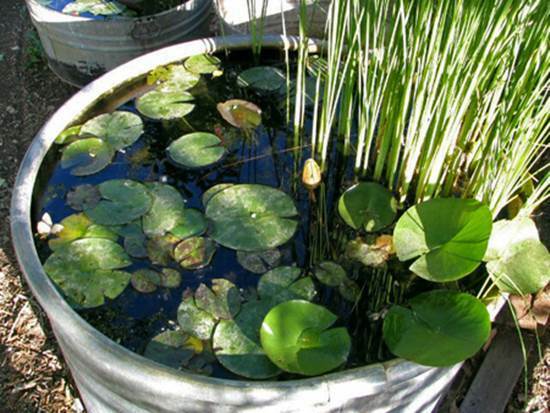 The followings are a few more container garden pond DIY projects for you. Each of them comes with more details how to set up the container garden. Enjoy!